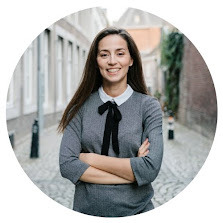 I know it has been a long while since my last post, and even though I have been desperately wanting to come back to blogging, life hasn't really been cooperating. But today, and even though it's "not on a scheduled blogging day", I wanted to make sure to have 10 minutes to write this post. 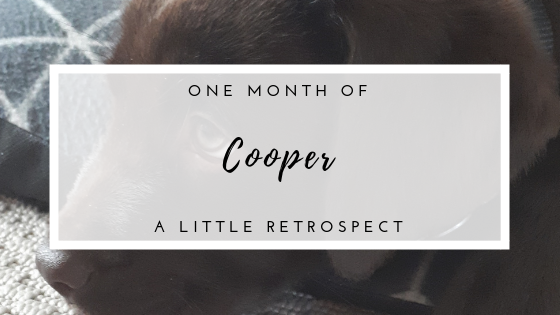 This past month flew by like a rocket, yet, sometimes it feels like Cooper has been here since forever. All I can tell you is that throughout this month we, I and Mr.A, and also Cooper, have been on a continuous adjustment to the new family member. Cooper brought so much joy to our lives, I can't stress that enough! Has it been always awesome? No; some days were tough, with not so much sleep, constantly running after Cooper trying to prevent and anticipate any possible "potty accidents" around the house, or even having our first emergency visit to the vet, when we Googled "Is it ok if your dog eats chewing gum?" and found out that it could be life-threatening. Yet, the large majority of moments ever since he is with us are on the positive side! The first 3/4 days we kept an extensive log on any sort of activity Cooper related: when did he eat, when did he do number 1 and 2, and all that sort of stuff. This allowed us to understand his biorhythm and foresee (as good as possible) what would happen so we could implement a routine that would work for all of us. Cooper sleeps in his crate and not in our room, since day 1! After 2 weeks, we reduced the night time potty breaks from 2 to 1; this makes Mr.A extremely happy, as you can imagine. Cooper is a very social puppy; he loves meeting new people and dogs. Till this day, he hasn't been afraid of anyone nor any type of dog he has met! Cooper, loves to go on walks and play in the dog park. Cooper and our new routine and dynamics at home have been the main reason why I haven't been blogging (or active on social media - Instagram posts and all) as much as wanted, but give me some more time until this all falls into place. I am not quitting blogging any time soon, in case you wondered. 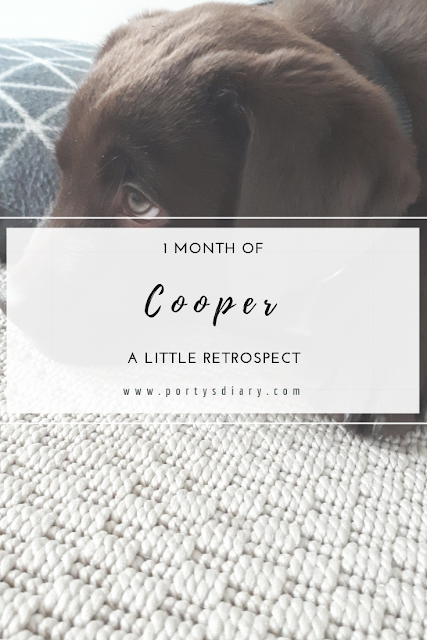 All in all, we are very happy to have Cooper in our lives, despite all the crazy puppy biting, short nights of sleep and the many potty accident cleaning ups. He is a happy pup, and so are we!